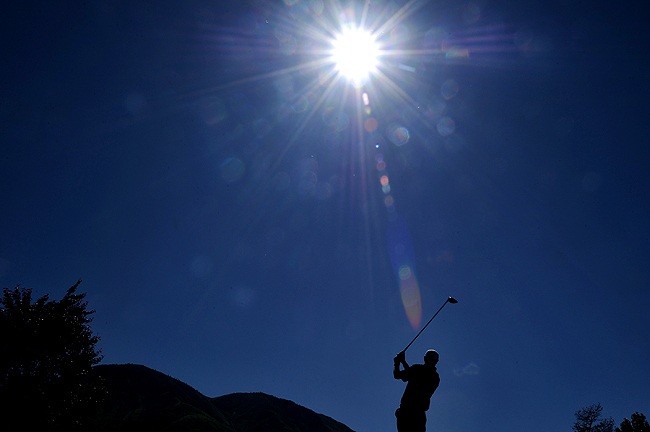 "Casey Fowles tees-off on hole No.1 during the 71st annual Provo Open golf tournament contested at The Reserve at East Bay, Saturday, June 19, 2010." After a painfully long travel day, I'm back in the U.S. I guess I'll resume my older posts I never got to before heading to Costa Rica and begin putting up some newer stuff, too. Be warned, it could either be a smattering of way too many posts or very little posts in coming days as I try to adapt not being on vacation time. And of course, more Costa Rica images to come.